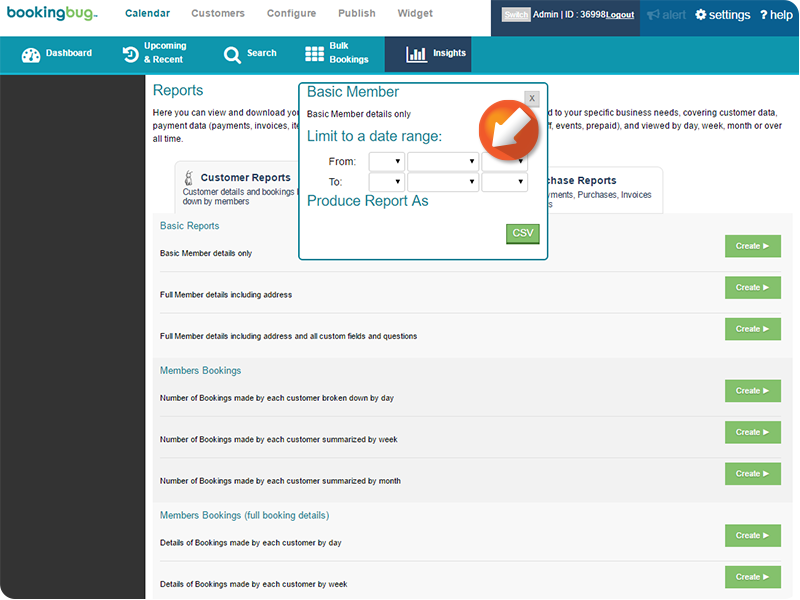 Reports allows view and download your raw business data as CSV reports. 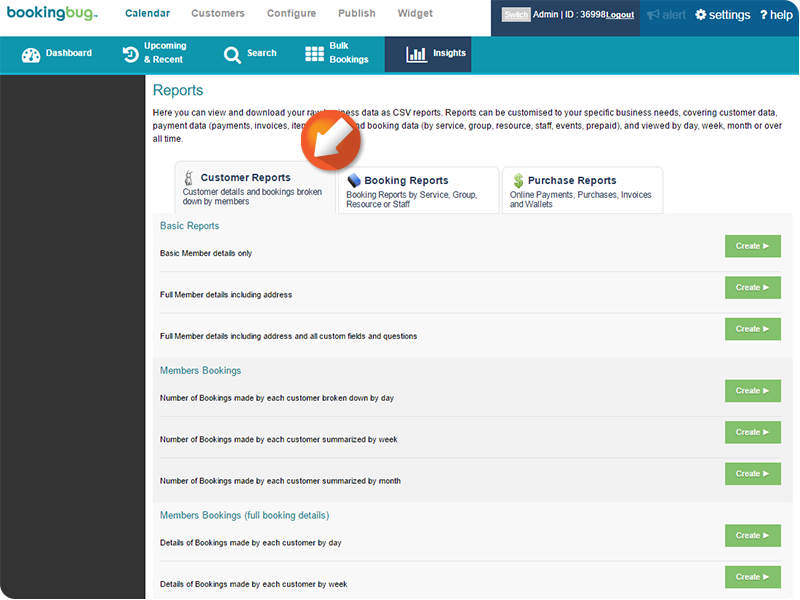 Reports can be customised to your specific business needs, covering customer data, payment data (payments, invoices, items, wallets) and booking data (by service, group, resource, staff, events, prepaid), and viewed by day, week, month or over all time. 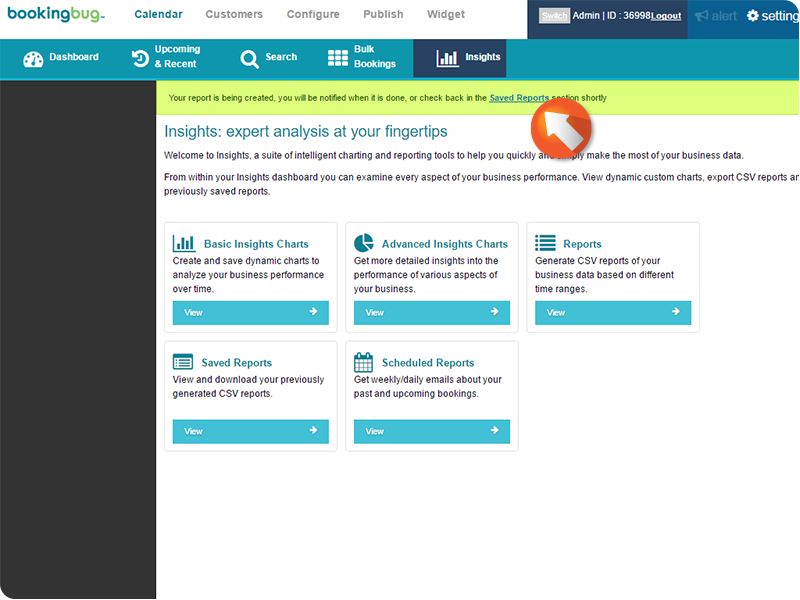 From the Dashboard, click Insights. Select the Customer Reports tab to generate Reports on Customer details and bookings broken down by members. 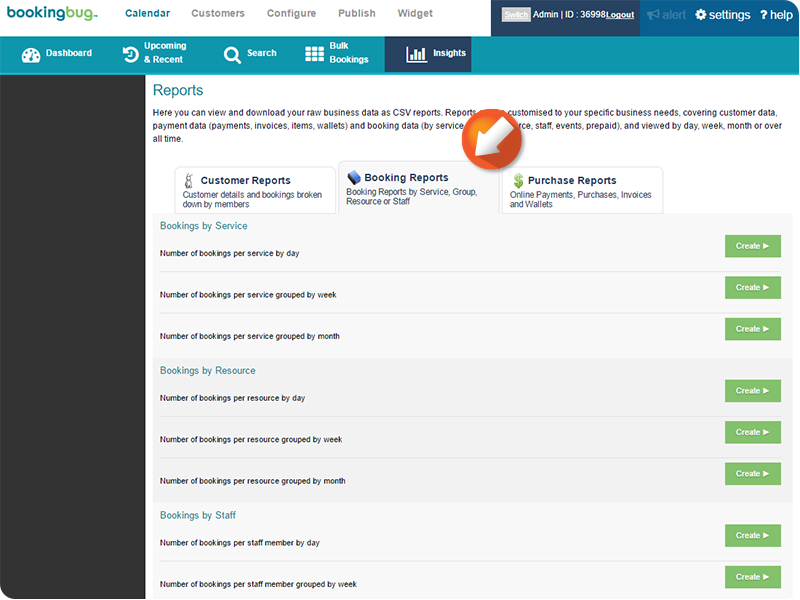 Select the Booking Reports tab to generate Reports by Service, Group, Resource, or Staff. 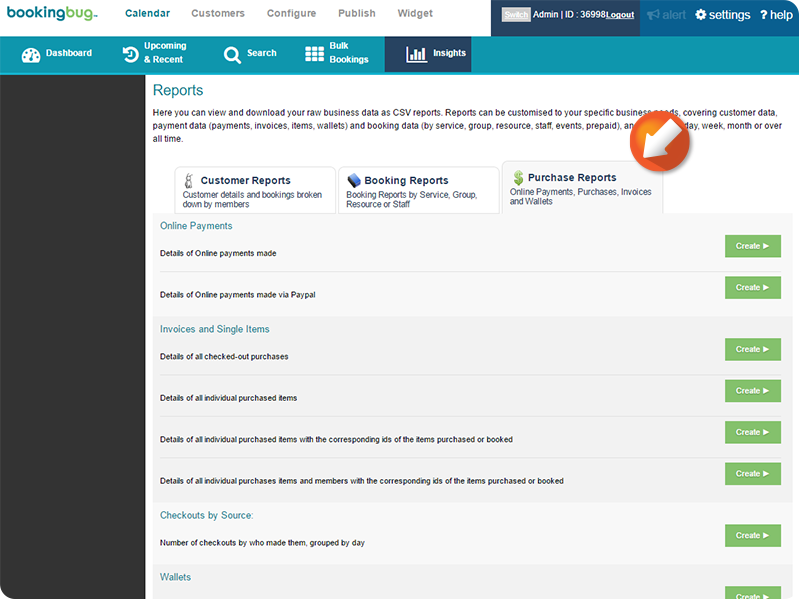 Select the Purchase Reports tab to generate Reports for Online Payments, Purchases, Invoices, and Wallets. 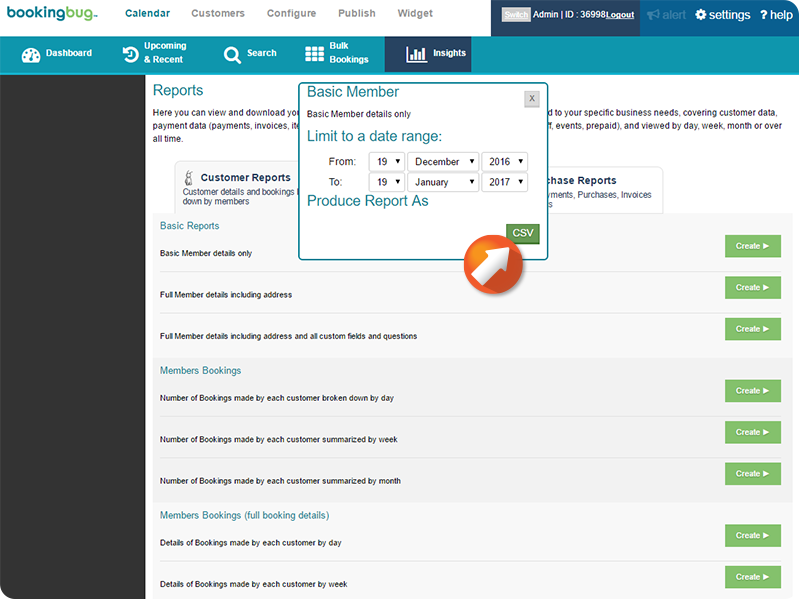 Within the selected tab, navigate to the desired report you wish to generate and click Create. Click CSV to create the Report. 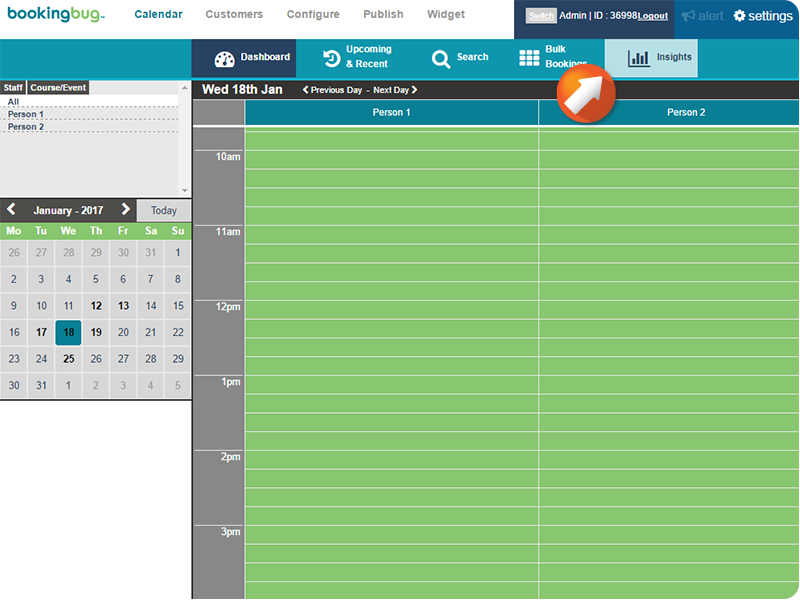 After the Report is generated you will have the option to go to Saved Reports at the top of your screen in a green bar. 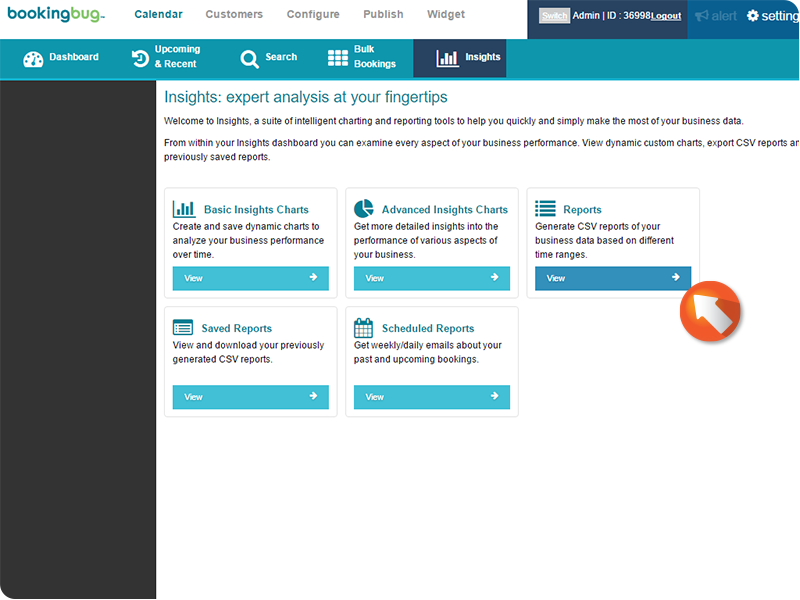 If you wish to view the Report at a later time, you can find them under Insights > Saved Reports. How do I export customer data?